Today I made these simple ornaments. You can use these ornaments on the X-mas tree or in the car for decoration. 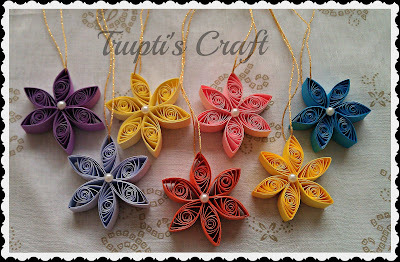 Lovely quilled ornaments...pretty flower design...!! 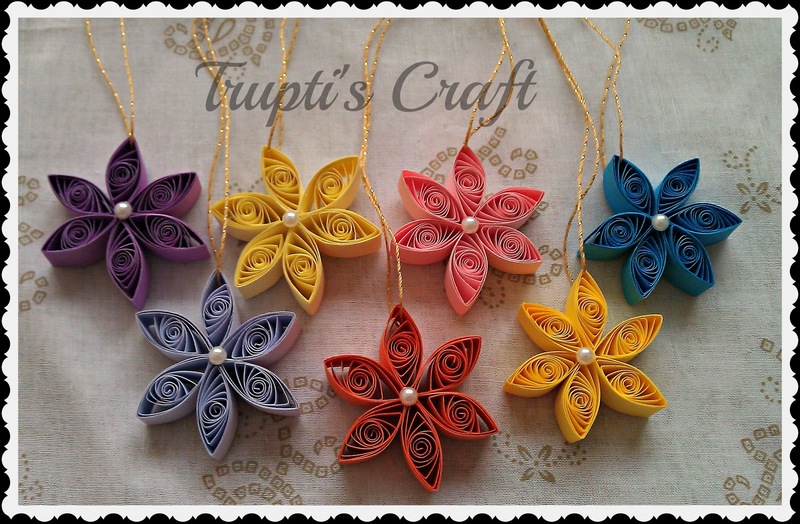 Lovely quilled works Trupti..you really have a beautiful collection here. Thanks you very much Vandana.